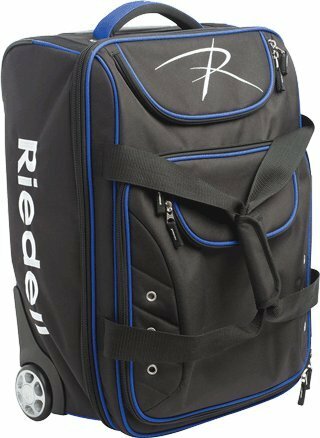 Riedell Travel Bag Our new Riedell Travel Bag is your ideal travel companion. Telescoping handle, padded top handle and front Velcro strap handle make daily trips more convenient. Durable 600 Denier nylon material and reinforced wheel carriage with spacious interior will make this bag a favorite for years.